Check us out! One of 10 Atlanta Makers To Watch! 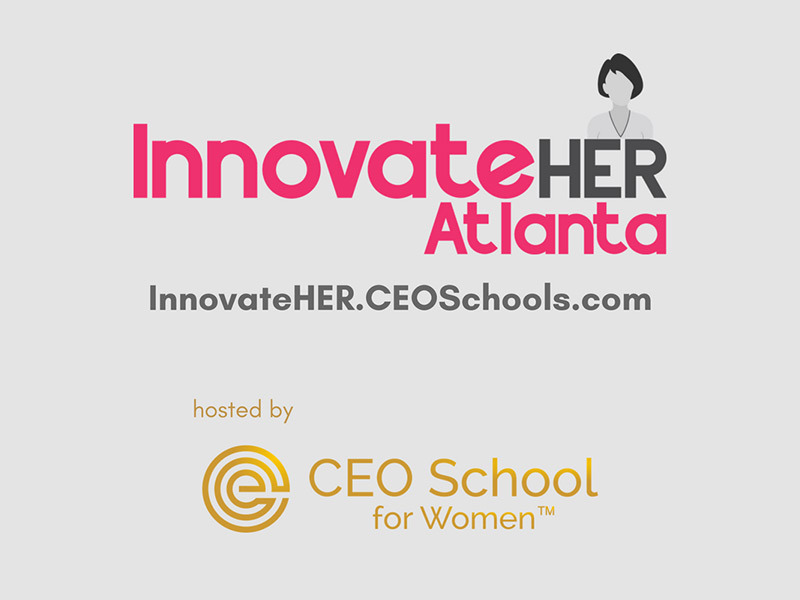 Thanks to Atlanta Inno for naming us one of 10 Makers to Watch in Atlanta! We’re psyched to be on this list. Belatedly sharing some great press coverage we’ve gotten recently, as we approach our post-pilot launch. Thanks to Hypepotamus for the feature! We’re apparently not great at frequent blog posts just yet, but we’re expanding our team to open up a little time to stay in touch. We’ve been hard at work transforming our pilot concept into a truly flexible and user-friendly tracking platform for new parents and more. 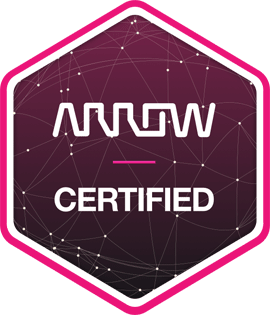 We’ve added a new full-time founder to the team, who has 20 years’ experience in software and hardware plus an MBA to keep us all on track. He’s one of the smartest developers I’ve worked with in my career. And the Ron to our Leslie and Ben. I know it’s a long process (believe me, I know…), but we’re still full steam ahead toward giving caregivers of all kinds an easier way to track all the things you’re already doing. A Great Week at CES! 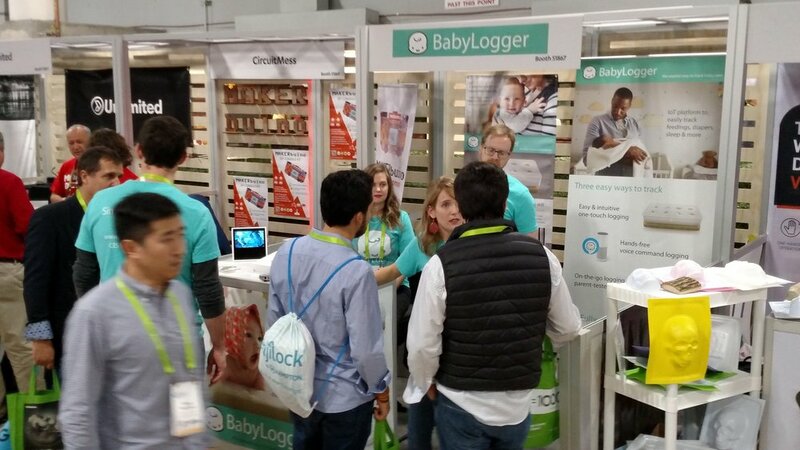 Last week BabyLogger exhibited at CES, which was amazing! And meant traveling to Vegas for a week of 9 hour days on my feet talking about BabyLogger. After applying very late for the show and cramming what should have been months of prep into 3 and a half weeks. Story of my life, I guess. The show went great - despite near heart failure induced by *all* our booth signage being lost in shipping until *literally* five minutes before the show floor opened on day one. Wasn't sure I'd survive that one. But survive I did. And I'm so glad! Team BabyLogger had a wonderful week at the world's largest consumer electronics show. We talked with lots of media, strategic partners, investors, and of course, parents! Thanks to everyone who came by the booth, and thanks to everyone who shared BabyLogger across various media. We got tremendous exposure and are busy now capitalizing on the long list of connections we made at CES. Some of our press coverage below. Bob's your uncle - we're going to England! Polish up the pram and pack the nappies - we're taking this baby to the UK! I am thrilled to share with you that BabyLogger was selected as one of two startups from Atlanta to represent our fair city in Newcastle Upon Tyne, UK this November! We'll attend the VentureFest North East conference and connect with industry, government, and startup community partners to discuss how BabyLogger can help UK parents successfully manage that first year. This opportunity will enable us to learn about the UK market for products like BabyLogger and how we can contribute to mums' and dads' sanity and strengthen cultural and commercial bonds between Atlanta/US and Newcastle/UK. Gobsmacked at our good fortune! Good thing I've spent the last year binge watching The Great British Baking Show. My attorney, Bob Loblaw, suggested I keep a blog documenting the ups and downs of the BabyLogger development process. People are interested in struggles and successes, he says. It's why they watch reality TV. Anyway, he's had a lot of success with his blog, so I thought I'd heed his advice. Introducing the BabyLogger Lady Blogger Baby Log Blog. The BabyLogger product I'm building is what helped me keep my sanity as a new parent and gave me the data I needed to confidently answer all my pediatrician's questions at each visit. This blog is a running commentary on the process of building a technology startup around BabyLogger to make life easier for as many new parents as possible. A couple of weeks ago I went to my local Sign-A-Rama (who were extremely helpful, by the way) to pick up the button overlays for the pilot devices we were building. It had been a tough few days. I'd been in a few days prior to describe what I was trying to build and ask if they could help. (I got the sense it wasn't their typical day-to-day project.) But they knocked it out of the park. And when I came back to pick up the overlays, the owner of the store came out to see me. I had not met him when I was in before. He asked me what I was building, and I gave him the 30-second overview. And his response was "This is huge. I can remember so clearly sitting in that pediatrician's office every time we took our baby and thinking I had no idea how to really answer her questions. I would have loved to have a device like this." And that, my friends, is one of those small victories that helps keep me going through this long and sometimes painful process. A new baby is one of the greatest joys a family can have, but parents today are really struggling to keep up with all the data points they need for peace of mind, in the midst of their already over-stressed lives. BabyLogger truly does make this time easier on new parents, and we are dedicated to making it available to as many new parents as possible! When I was pregnant with my son, Jack, 8 years ago, I had some idea of what it would take to bring him into the world. But not really. I knew it would be 9 months of discomfort and a million magical moments of affirmation. But I didn’t know it would take 52 hours of labor (I didn’t even know this was possible) and a type of pain I really couldn’t have prepared for until it was there. I can honestly say at this moment, sitting at my table with a glass of wine, I’m not so sure creating this BabyLogger prototype is all that different. It’s my baby, without a doubt. I’ve stayed up countless nights with it and fallen asleep beside it more than once. And it took a *ton* more work than we ever could have imagined to bring it into being. But we did it! It's An eclipse miracle! We finally got all the beta devices built and tested! What’s that you say? Your office has scooters and X-boxes? Check out the Cozy Coupe in mine. Take that. We still have some additional testing to do, but we should be able to ship beta testing devices by Wednesday or Thursday. 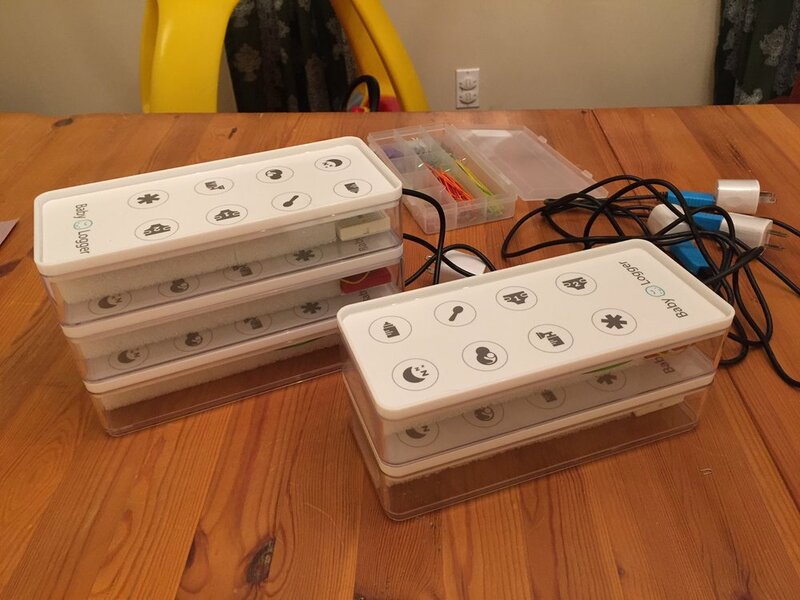 A huge thanks to our beta testing participants who’ll help us test these out in real life use with your babies. Especially those who were hoping for devices a couple of weeks ago. We really appreciate your patience! We did find that power management for the prototype (beta) devices was a little more than we could bite off right now without investing a significant amount of money with an engineering firm. So these prototypes are plug-in. We’ll definitely be working with an engineering firm soon, but we want to make sure real parents have had a chance to weigh in on how we can improve the function of the device first. We do NOT want to pay an engineering/design firm for a polished product and THEN find out parents wish it did something additional or worked in a different way. We really want to get it right the first time. Same with the app. We really want parent input on the app before we finalize it to go with the final device. Beta testers, we can’t wait to send you your devices this week! We hope you’ll enjoy using them, and we can’t wait to hear all your feedback - good, bad, and ugly. I guess that’s where this is different from actual childbirth. You’d better not, under any circumstances, call my human babies ugly. But I really want and need you to tell me what you’d like to see different about the BabyLogger. No holding back!